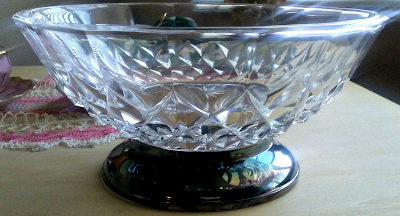 This is a lovely Val St. Lambert crystal bowl with silver plated base. The silver needs polishing and is being sold as is. See signature and markings in photo above.